We have a voice, it can be a very loud and obnoxious voice most of the time. This voice doesn’t like us to be happy, at least not for any long periods of time. It also likes to influence us with expressions that are mostly negative. This voice likes to gossip, and is very judgemental. It’s opinions and attitudes are of a particular nature, nothing much to be proud of at the best of times. This voice has difficulty articulating and communicating what we are truly trying to express nearly a hundred percent of the time. It certainly doesn’t have any trouble venting when it wants to. The noise we hear from this voice is often unpleasant and we may wonder to ourself why! Yes we do indeed have a voice, and it is called our Ego. Contrary to what you might have believed in the past, the Ego is not particularly a true and trusted friend. 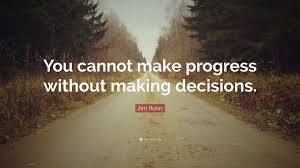 When it comes to making a decision, it can cause us a tremendous amount of turmoil and time wasted. Our Ego voice consists of many parts of how we feel about ourself, how we view ourself in terms of our self-esteem, self-worth and self-respect. Because the Ego doesn’t particularly resinate with positive reinforcement, those very important aspects of ourself take a very big hit. It is our Ego that causes us to neglect ourself in terms of our self-confidence, because our Ego will only focus on what we don’t have, what we are not and what we will never be, it is safe to say that if you want to feel good about yourself, don’t ask your Ego for it’s insight or opinions. The problem with the Ego and this is something that it loves to do when it gets the chance, is act impulsively. It will fire out a sudden and strong, unreflective urge or desire to act upon something. Before you know it, you’ve got your feet in hot water and you don’t really remember how it happened. Then there is the wonderful and exhausting task of backtracking your way out of whatever it is your voice got you into. The Ego loves to express it’s compulsion by intimidation, but when it comes to making a life changing decision it pressures us with negative comments, so the decision becomes confusingly hard to make. Understanding how our Ego works could perhaps be the most beneficial scientific project you will engage in. Once you are aware of your Ego and it’s shenanigans, your life will never be the same, in a very good and positive way.